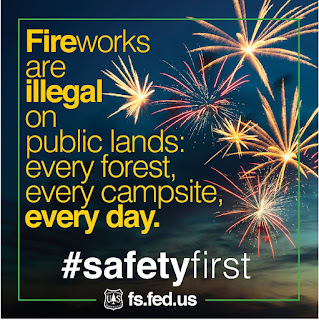 BOISE, Idaho, June 28, 2016 -- The Boise National Forest is reminding visitors and campers that the use of all fireworks and other pyrotechnic devices is prohibited on National Forests lands regardless of weather conditions or holidays. 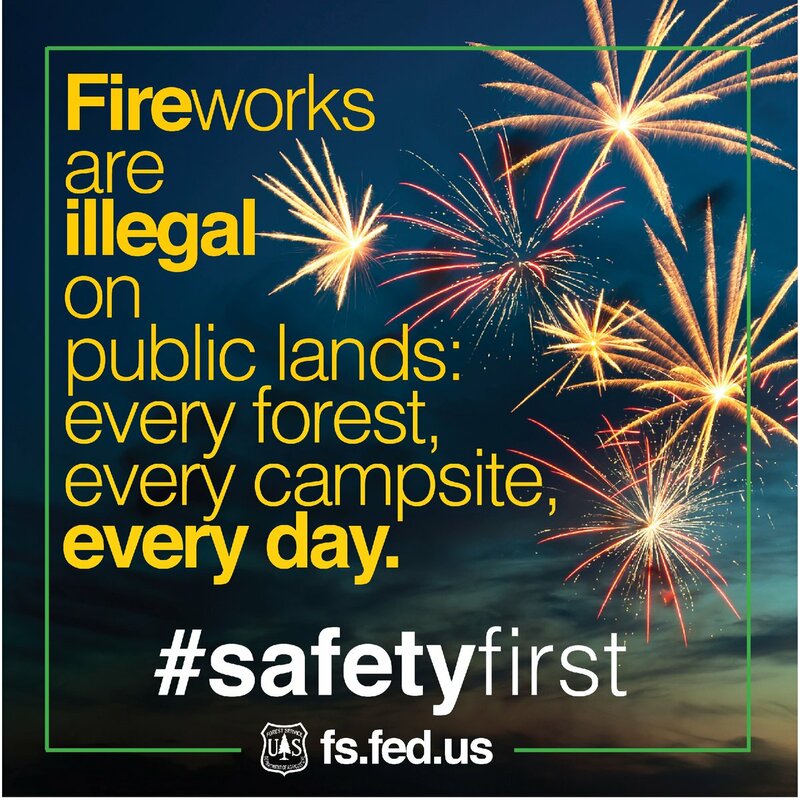 The forest is expecting large numbers of visitors to recreation areas over the Fourth of July weekend and this increased activity could lead to human caused fires. "If you plan to tow a boat or RV, please check your safety chains before heading to the forest or any major highway corridor," said Tony DeMasters, a member of the Boise National Forest fire staff. "The chains sometimes hang too low and have the potential to spark a wildfire if they drag on the ground while towing." When building campfires, look for a place at least 15 feet from trees, shrubs, tents or other flammable objects; be aware of low hanging branches. Don't leave campfires unattended and make sure they are dead out when you leave. While the Banks Fire is 100 percent contained, visitor's traveling along Forest Highway 17 (Banks / Lowman Road) and Idaho State Highway 55 may still see smoke as crews conduct burn out and mop-up operations.